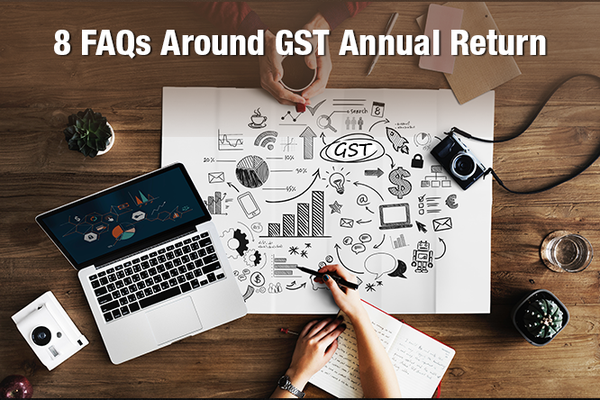 Annual return is a statement of return which is required to be filed annually by each registered person (except few specified categories of persons) under GST giving summarized details of outward supply and taxes paid thereon , input tax credits claimed, taxes paid and refund claimed in the financial year in respect of which such annual return is filed. GSTR 9 is an annual return to be filed once in a year by the registered taxpayers under GST including those registered under composition levy scheme. It consists of details regarding the supplies made and received during the year under different tax heads i.e. CGST, SGST and IGST. It consolidates the information furnished in the monthly/quarterly returns during the year. Who has to file GSTR-9? How many sub-categories are there under GSTR-9? There are 4 sub-categories under GSTR-9 viz. GSTR-9, GSTR-9A, GSTR-9B, GSTR-9C. As we have already covered about GSTR-9 in the introduction, let’s jump straight to its sub-categories. What is GSTR-9A and who has to file it? GSTR-9A is a simplified annual return filed by business owners who have opted for the composition scheme under the GST regime. This return includes all the quarterly returns filed by the compounding dealers in that financial year. What is GSTR-9B and who is liable to file it? GSTR-9B is the summary of details filed in GSTR-8 by taxpayers registered as E-commerce operators under GST. What is GSTR-9C and who has to file it? GSTR-9C is a return form required to be filed by registered taxpayers in case the aggregate turnover is more than Rs.2 crores. In this case, the taxpayer has to also submit a copy of audited annual accounts and reconciliation statement, reconciling the value of supplies declared in the return furnished for the financial year. What is the penalty for not filing the above returns by taxpayers whom it may be liable to? When is the due-date for filing the above returns? The due date for filing the above mentioned returns is 31st December of the subsequent financial year. For example, the due date for filing GSTR-9 for the financial year 2017-2018 is 31st December 2018.